Toilet Aids. 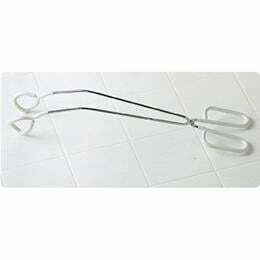 Lightweight tongs assist individuals with limited reach and range of motion. Ends are slightly angled for more precise use. Vinyl coated handles and ends for easy maintenance. Stainless steel. Reinforced joint adds extra durability. Latex free.